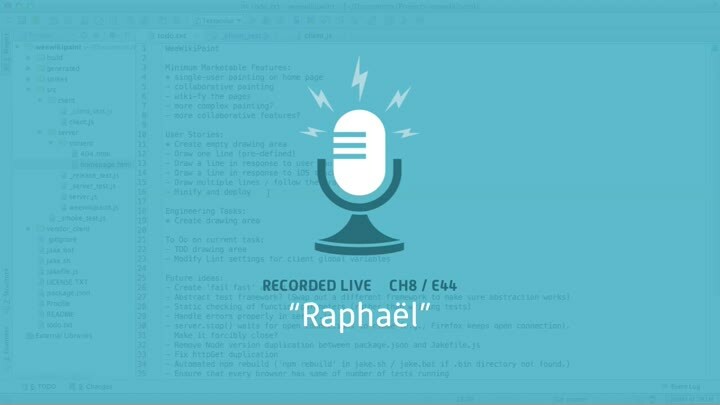 We fix the IE 8 issue that popped up at the end of the previous episode, then get started on integrating Raphaël, a vector graphics library. We want to assert that Raphaël is initialized correctly, which requires us to understand how Raphaël works. Once we do, we assert that the DOM contains what we expect. It works great… except on IE 8, of course.